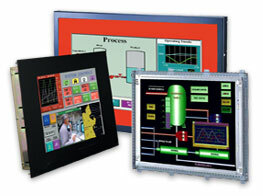 Choose from flat panel display choices ranging from 8.4" through 21", integrated with a touchscreen for operator input. Flat panel computers are powered by either an Intel® -based engine, including Core™ 2 Quad processors and offering all PC-compatible functions or low-power, wide temperature range and diskless operation systems. 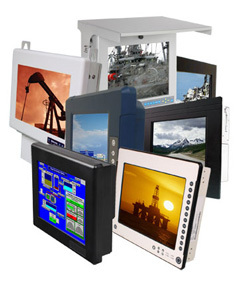 Flat panel computers and Industrial PCs are available in a variety of mechanical configurations ranging from open-frame to complete enclosed products with plastic enclosures and full agency approvals.